Salted caramel & dark chocolate blondies! These are unbelievably delicious! 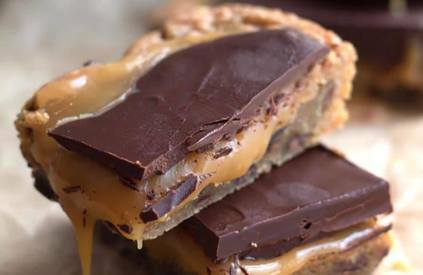 I will warn you – these are rich, but the salted caramel takes away from the sweetness of the Blondie and the dark chocolate balances it out perfectly.